Mairead Lavery was appointed as Senior Vice-President, Business Development in December 2014. Ms. Lavery is responsible for EDC’s business origination and client coverage through network of EDC’s offices and representations in Canada and overseas, across all industry sectors, all product lines and all customer segments. Prior to joining EDC, Ms. Lavery worked at Bombardier for 16 years, where she held increasingly senior positions, managing teams of more than 500 employees. She served as Vice-President Finance and Vice-President Strategy, Business Development and Structured Finance for Bombardier’s Aerospace Group and most recently as Vice-President Transformation and Shared Services. 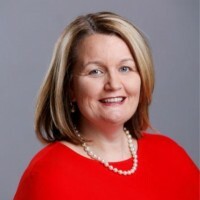 A native of Northern Ireland, Ms. Lavery earned a degree in Management and Accounting from Queen’s University Belfast, and is also a Fellow of the Institute of Chartered Accountants of Ireland. Douglas Porter has over 25 years of experience analyzing global economies and financial markets. As Chief Economist at BMO Financial Group, he oversees the firm’s macroeconomic and financial market forecasts. He is a member of C.D. 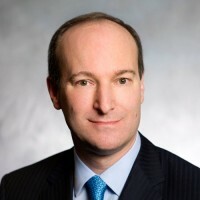 Howe’s Monetary Policy Council and serves on the Investment Management Committees of the Bank of Montreal’s Pension Fund Society and Western’s Endowment Fund. He also sits on the Board of Directors of the Toronto Financial Services Alliance. Weeks has over 30 years experience in research, public policy, and communications. 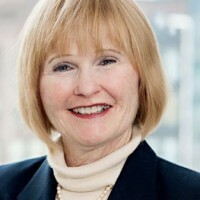 For three years, she served as Executive Director of the National Women’s Business Council, a federallyfunded bipartisan policy advisory body created by the U.S. Congress to serve as an independent voice of women’s entrepreneurship and an advisor to the President, U.S. Congress and the U.S. Small Business Administration on women’s entrepreneurship issues. 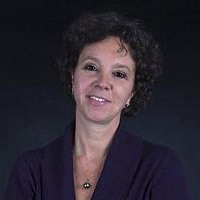 Prior to that position, Weeks spent nine years as the Director of Research and Managing Director of the Center for Women’s Business Research, a nonprofit organization that conducts research among women business owners and their enterprises. She has also served as Deputy Chief Counsel for Statistics and Research at the U.S. Small Business Administration, and Vice President for Research and Public Policy at two market research firms. Weeks has a BA in Political Science from the University of Michigan, and a Master’s degree from that same institution in Political Science with a concentration in research methodology. 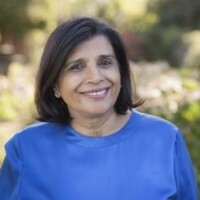 In addition to her work leading Womenable, Weeks serves on the board of the Leelanau Conservancy and the Leelanau Peninsula Economic Foundation, the advisory board of WEConnect International, and the editorial advisory boards of Enterprising Women magazine and the International Journal of Gender and Entrepreneurship. 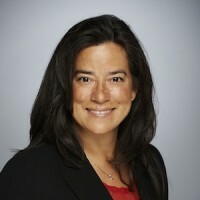 A lawyer, advocate and leader, Jody Wilson-Raybould has a proven record of success in law, public service, governance, bringing people together and delivering results. With a law degree from UBC, she has worked as a provincial crown prosecutor, and as process advisor, Commissioner and Acting Chief Commissioner at the BC Treaty Commission. She was elected Regional Chief of the BCAFN in 2009 & re-elected in 2012. She recently left this position to focus on the concerns and aspirations of Vancouver-Granville residents. A former Director of Capilano University and board member of the Minerva Foundation for BC Women, she is currently a Lands Advisory Board Director and Chair of the First Nations Finance Authority. Jody was awarded a Minerva Foundation for BC Women alumni award (2011), distinguished alumni award from UVic (2012) and Vancouver Magazine’s Power 50 (2012 and 2014). A citizen and council member of the We Wai Kai Nation, Jody carries the name Puglaas, which means “woman born to noble people.” Jody has been married to Dr. Tim Raybould for six years. Known internationally as “The Seaweed Lady”, Diane Bernard has family roots deeply anchored in both Canadian coasts. She is the 3rd generation of her family to have used seaweeds in their daily lives for over 100 years. Diane is the founder of Seaflora Skincare Inc., the world’s first certified organic seaweed company and is internationally known for her coastal marine endeavours and expertise. As a passionate environmentalist, she is committed to creating luxury seaweed skincare that is nutritional, adventuresome, organic and authentic. Her hand-harvesting techniques are sustainable and her wild seaweeds are 100% USDA and OCIA certified organic. Her company honours the protection of coastal environments with eco-sustainable harvesting techniques and manufacturing practices. 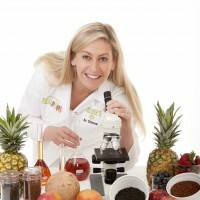 In addition to offering the highest quality seaweed skincare, she educates and trains her clients to the healing benefits of thalassotherapy and seaweeds with her Wild Seaweed Tours and Thalassotherapy Clinics for the up-scale professional, retail, and distributors in the spa/health and wellness industry. Today, Diane provides local employment, consults for top destination resorts, mentors women in business, and speaks to conferences, schools, universities about seaweeds, their health benefits, and coastal protection. Located in Sooke, B.C. Diane’s company was successfully expanding her company throughout Canada. Diane joined GroYourBiz in 2012 with the goal to grow her business into a multi-million dollar international business. Since 2012, Seaflora has grown each year over 50%. She now exports into the U.S., Hong-Kong, Taiwan and South Korea. She has been featured in Canada on the Edge, the Globe and Mail, The National Post, Edmonton Journal, More Magazine, American Spa, Organic Spa, Healing Lifestyles, Canadian Geographic as well as other national and international media. Indeed, Diane is recognized for creating a whole new “sea-change” in the health and wellness industry. The focus on health and wellness transcends her workplace – it has become an intimate part of her life, a personal passion. This passion for well being is the guiding force in her day-to-day life, which she openly shares with her own family and families across the country. 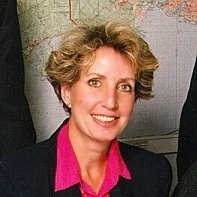 Joy MacPhail served as an MLA of BC from 1991 to 2005 and as a Minister of the Crown from 1993–1999, and 2000-2001. She was Minister of Social Services, Health, Finance, Labour, Education and Deputy Premier. From 2001 to 2003, Joy was the Leader of the Opposition and remained parliamentary leader of the BC New Democratic Party until her retirement from politics in 2005. Joy is currently a partner in the production firm,Shavick Entertainment, and Chair of the Board of OUTtv, a Canadian cable television station focused on the gay, lesbian, bisexual and transgender communities. Joy is passionate about “Caring For Our Planet”, and shares her views and vision. With an MA in English Literature and a BA in Psychology, Ratana began her career in India as a college lecturer. She met and married her life-partner, Arran Stephens in 1969 and moved to Canada, soon joining his then small, but growing vegetarian restaurant enterprise. In 1984, she and Arran started Nature’s Path Foods with very little capital, out of the back of their restaurant. Nature’s Path not only survived the challenges that all small businesses invariably go through, but in due course became North America’s largest organic breakfast foods manufacturer/brand, currently operating state-of-the-art manufacturing facilities in Washington State and Wisconsin, employing an exceptional team of hundreds of talented individuals. As Co-CEO, Ratana is often described as the ‘heart’ of the company and is at the center of every development. With acumen and practicality, she has helped lead and inspire significant successful growth. In 2009, Ratana was recognized with the YWCA Woman of Distinction Award along with several other awards for community service. Nature’s Path operates on the triple-bottom line of social responsibility, environmental sustainability and financial viability. With a clear, long-term vision of independence, uncompromising organic integrity and growth, the company is not for sale. Ratana and Arran are parents of three daughters and a son, who are passionately involved in various aspects of the enterprise. A role model for entrepreneurial women, Ratana is committed to opportunities that meet the needs of people and planet.